Describing it as “irredeemably flawed”, the United States announced on 31 August it would end all funding for Unrwa, the UN agency for Palestine refugees. During the plenary debate, European Commissioner Johannes Hahn said: “Without Unrwa and the prospect of a two-state solution, there would just be chaos and violence for both the Israeli and Palestinian people." Established in 1949 to take care of Palestinians displaced by the Arab-Israeli war, Unrwa provides essential services for some five million Palestine refugees in Gaza, the West Bank, Jordan, Lebanon and Syria. During the plenary debate, Commissioner Hahn said the EU would continue to be “strong, reliable and predictable supporters of the agency”. He referred to the €40 million in additional EU funding for Unrwa announced at the UN general assembly on 27 September. The EU and its member states already provide almost half of the agency’s budget and the overall EU contribution amounts to some €1.2 billion over the past three years. "The one who buried the two-state solution"
ALDE MEP Hilde Vautmans asked whether Donald Trump would “go down in history as the one who buried the two-state solution” and said that "it is central for the future of the Palestinian state that we continue to support Unrwa”. ECR member Bas Belder, vice-chair of Parliament’s Israel delegation, was of the view, however, that the US decision gives “the international community a major opportunity to change and introduce new rational criteria for Palestinian refugees”. He spoke of Unrwa’s “major deficits” and urged the EU to “support Washington in its wake-up call to the Palestinian leadership”. 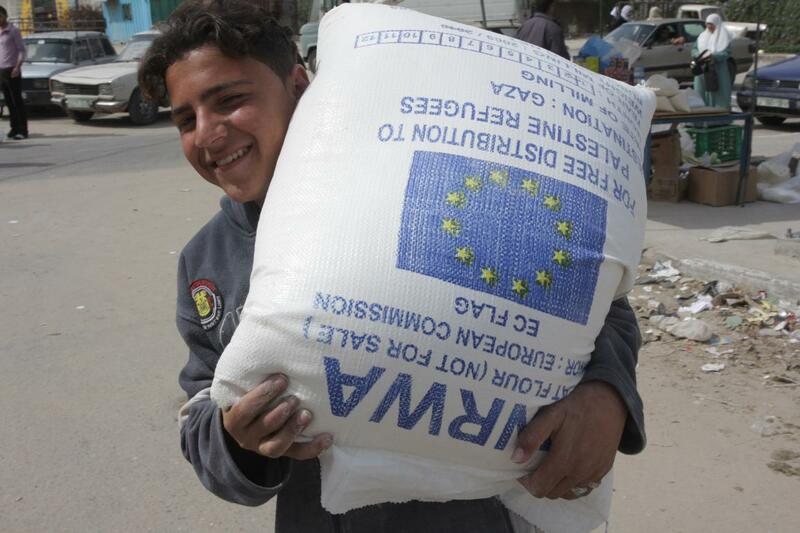 In a resolution adopted by MEPs on 8 February 2018, Parliament applauded Unrwa for its “extraordinary efforts” and expressed concern that any reduction or delays in funding could result in “damaging impacts on access to emergency food assistance for 1.7 million Palestine refugees and primary healthcare for three million, and on access to education for more than 500,000 Palestinian children”. Click here for more information on Parliament’s role in the Middle East peace process.